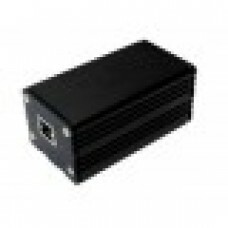 The GW3022-1 is an extruded aluminum enclosure for rugged installations of the Gateworks GW2380 and GW2382 network processor boards. The enclosure measures 50mm wide by 41.5mm high and 87mm long. The kit includes all necessary mounting hardware for both pole mount and desktop. The GW3022-1 comes with a GW16077 RJ45 end plate and blank end plate. An optional DIN Rail clip is available as well as an optional type A USB end plate. The enclosure is made of 6063 extruded alumnium with a black powder coat finish with a -40Â°C to +85ÂºC operating temperature range. 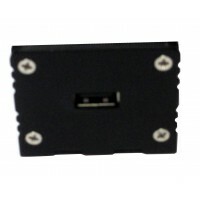 Type A USB end plate for the GW2382 used in the GW3022-1 or GW3024-1 enclosures. Download Da..